Kids are expensive. Crazy expensive. You hear estimates all the time like “$250,000 a kid” but even that staggering number seems low. Diapers and formula, turn into cute little toddler clothes and cheerios, and all the sudden you’re buying your son a beer. Cash has hemorrhaged from my wallet for sports, college, eating out, and more books than you could possibly imagine. I didn’t truly understand all these expenses prior to their births, but in theory I expected them. It was the immense amount of spending on replacement items I didn’t expect, and gets me a little hot under the collar. I can’t even begin to estimate the number of sweatshirts my son has lost over the years. It is a truly staggering amount. He likes to wear sweatshirts but when he actually starts moving around they drop to the floor instantly. I am sure he has lost at least a half dozen in airports alone. It’s actually magical; they disappear so fast. Ta Da! As all of my children have had braces, the number of replacement retainers I have paid for is almost comical it is so large (and that doesn’t even include all the retainers I’ve personally fished out of public garbage cans). But as a father what do you do? 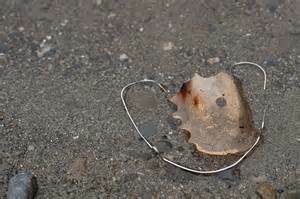 “I’m not going to pay for that replacement retainer so your teeth can get crooked again. Do you understand me? I’m serious this time!” Even I’m not that crazy. In the end, their mother will feel sorry for them, and I will have to pay for braces all over again. School books, calculators (what is it with my kids and calculators? ), shoes (how do you lose your shoes? ), clothes, and hundreds of sports water bottles just to name a few. Seriously, I’ve probably had a more negative impact on the environment by not purchasing bottled water. Did I lose that much crap when I was a kid (and no I will not be asking my parents as I don’t really want to know the answer.)? So recently, I heard about a study in mice where they have found that giving an old mouse, a younger mouse’s blood cures a lot of the issues of old age. In some instances, it just stopped or slowed the aging process, but in others instances it actually promoted healing. 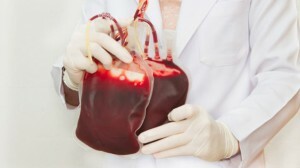 The researchers felt it held a very promising correlation to blood in humans. Very cool. So when I heard this, I had an epiphany: to offset all of the atypical expenses they incurred over their childhood, my kids can give me their young blood. Brilliant. I figure it will probably take about 10 years for scientists to figure it out and make this type of treatment available to the geriatric public. Perfect timing for me, as I figure I have about ten more years until some major body parts start to fail. I’ll start with my middle son. I figure at $50 bucks a pop, for sweatshirts alone he’s owes me at least a couple grand worth of infusions. Oh, the shoes. We’ve found one shoe before. How do you lose 1 shoe?